Home Edu4Sure How Can Technology Help In The Education Of Specially-abled Children? 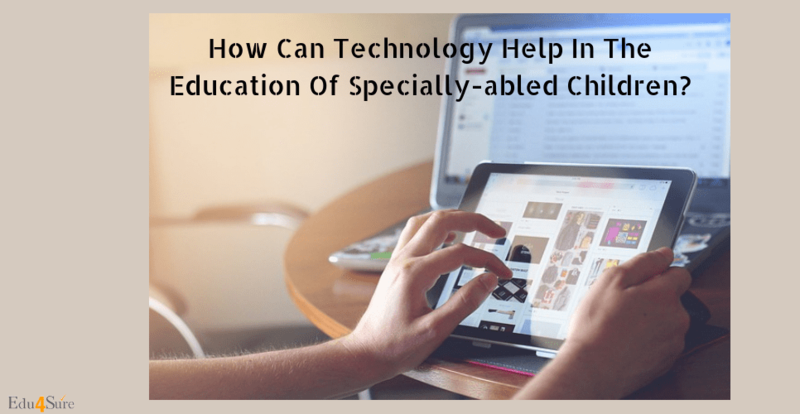 How Can Technology Help In The Education Of Specially-abled Children? Every student is different. They all have different methods of learning and take different amounts of time to grasp concepts. Our teachers don’t understand this at times. They would just brush us off and call us lazy. In other words, they would rather have their students not understand a concept than spend extra time to teach it again. This makes students doubt themselves and begin to feel inferior to their classmates. So, students turn to the thing that doesn’t judge them for not understanding something-technology. Luckily for them, education has transformed in recent years. More and more mediums are being developed to help all kinds of children learn. This type of technology is called ‘assistive technology’. The best example for use of assistive technology is Stephen Hawking. He suffered from amyotrophic lateral sclerosis (ALS) and had almost no ability to move or speak on his own. He made use of speech-generating technology in which computer software translates what he types on a keyboard into a synthesized voice. This computer only requires him to type a few letters as it includes autocorrect. There are many other forms of assistive technologies such as audio and visual aids and speech-recognition software. Technology-based learning usually allows you to learn at your pace. You can study the topics at any time of the day. You are also able to pause, rewind and, redo those lessons. In school, you are not given this liberty. The teacher will teach one topic, solve the student’s doubts regarding the topic and, move on to the next one. Furthermore, the apps and audio books allow you to listen to the lessons anywhere. You could study while exercising or doing chores. Popular learning apps like BYJUs and Duolingo use visuals and videos to teach you all the subjects. This makes learning more fun and interesting. For example, they may explain history and geography through animated videos and, use home experiments to teach science. Shows like ‘Backyard science’ and ‘Magic of science’ use everyday items for science experiments to effectively teach us science. Various forums and apps can help you solve your doubts at any time of the day. Many learning apps also have a chat section where you can connect to one of the experts and ask them questions on a particular topic. They will instantly reply to your queries. There are also many apps available to solve math problems. In apps like ‘Photomath’, you can click pictures of your math problems and the app will show you the solution and also, tell you how they came to that answer. This is very useful for those who struggle with maths. The best part of these apps is that you can use to solve your queries at any time of the day! Every app has a different teaching style to suit the student’s learning methods. There are also a bunch of different mediums you could use to learn, depending on your abilities. Learning apps are like Aamir Khan from ‘Taare Zameen Par’- they modify their teaching style to suit your learning approach and need. You have complete control over the pace of the lesson. You can access the lesson how many every time you want. Since there are innumerable mediums for learning, you can see the different teaching techniques and choose the one that suits you the best. Learning apps and websites make their lessons as interactive as possible to grab the attention of the student. They try to make learning fun! They also use quizzes and medals to increase your motivation to learn. You could use the quizzes to test your knowledge. This would probe you to learn the matter really well. The medals are an example of positive reinforcement to finish all the lessons. Positive reinforcement helps you maintain your focus and helps you build your confidence. Technology has opened many doors for specially-abled children. They help these students fully understand all subjects without discouraging them. The greatest minds of our world like Stephen Hawking, Helen Keller used alternate techniques of learning as well and they have inspired so many minds. 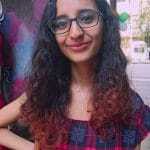 Previous articleWhy Internships Are Important? Next articleHow To Learn A Foreign Language?